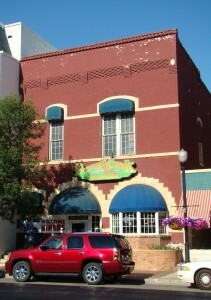 This building housed arched doors through which the horses and fire wagons passed can still be seen. The second floor was used for the police department and town courtrooms. Located behind this building was the early jail, built of corrugated iron. 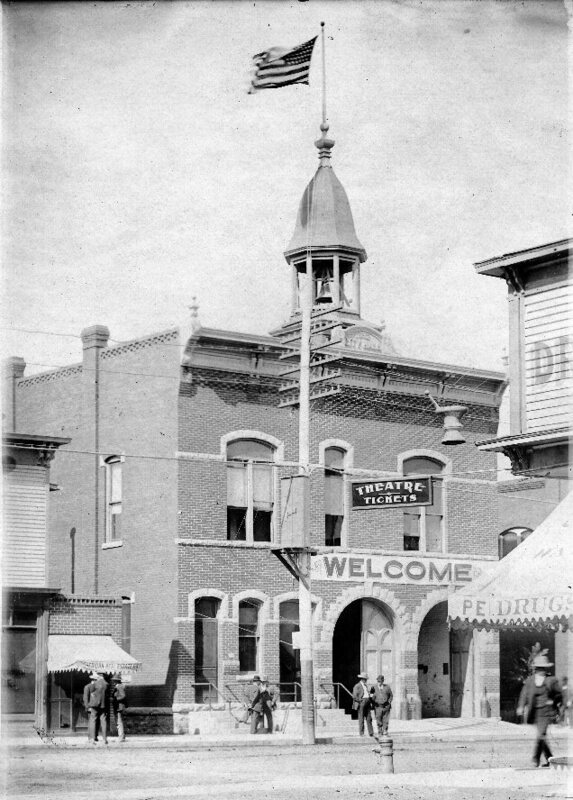 Prisoners escaped as fast as they were confined; consequently, many considered the jail to merely be a “pest house.” The building was originally topped with a large cupola, including a bell and a flagpole, which was prominent in early photos of Main Street. One third of this building was originally chopped off so that Montgomery Ward could have two full lots.